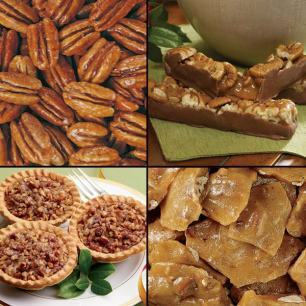 Gourmet nuts are a time-tested favorite snack for any occasion. 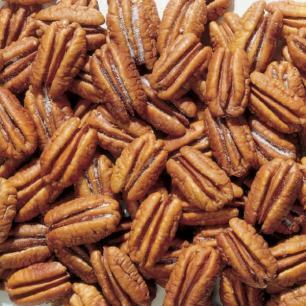 From pecans to almonds to cashews and more, they always taste better fresh from the farm. 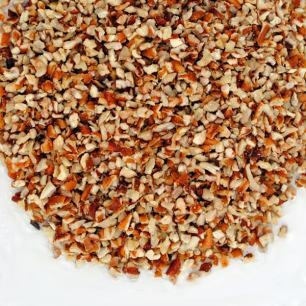 We're proud to offer a wide array of satisfying treats made from only the best nuts. 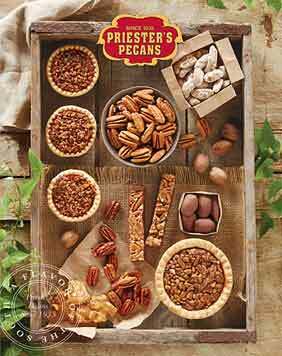 Pecans are, of course, our specialty - we continue, as we've had since 1934, to ensure every pecan we shell, package or sell, is the finest possible for our customers. 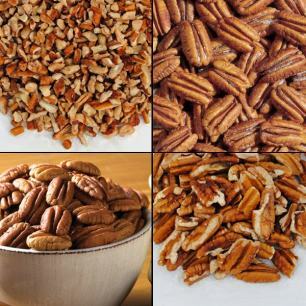 Our pecans fall generally into the following categories: Natural(Raw), Roasted & Salted, Flavored, and Chocolate. 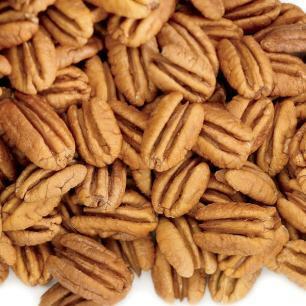 Our Natural "Raw Pecans," are available in all size variations, such as mammoth halves, jr. mammoth halves, medium pieces, large pieces, midget pieces. 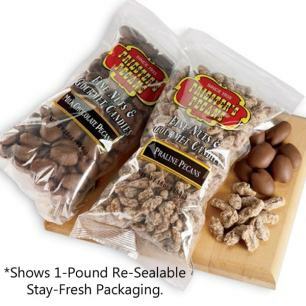 These "Raw" Pecans are packaged in resealable fresh bags (great for snacking! 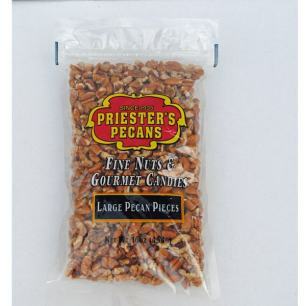 ), in 1lb, 5lb bags, or in bulk larger bags. 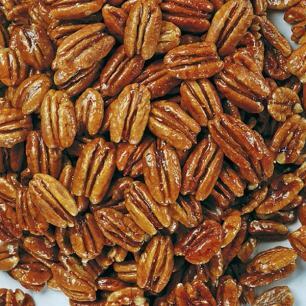 Roasted & Salted Pecans are another customer favorite, or try out our Flavored Pecans - there's honey glazed, praline, cinnamon, key lime - just to name a few! 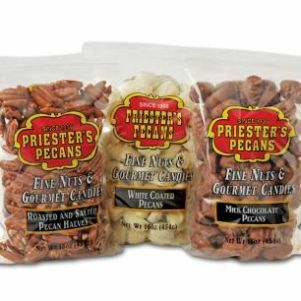 You can purchase a variety of raw, flavored and/or chocolate pecans available in bags, bulk, and other assortments. Pick from 1 lb. bags to giant bulk boxes. The fun doesn't stop there. 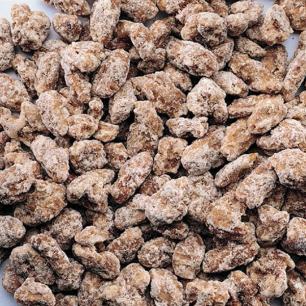 Try roasted salted macadamias, double dipped chocolate peanuts, and other tasty options. 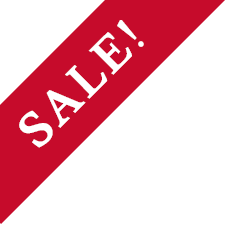 Our items are the perfect gift if you're looking for something unique and different. 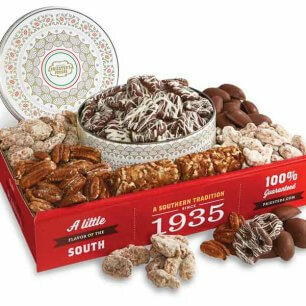 Shop our gift baskets, boxes, tins, and bags. 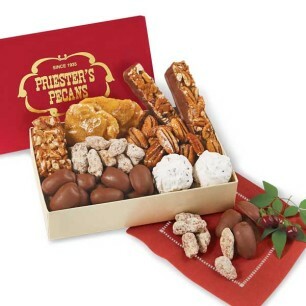 Give a gift that contains an abundance of natural, flavored, and candied nuts. They all make great gift ideas for friends, family, and coworkers alike. Of course, we wouldn't blame you for getting a little something for yourself as well!